Peace Corps Online: September 16, 2004: Headlines: COS - Swaziland: Iraq: Journalism: Television: Islamic Issues: Hardball: Investigative Reporter Seymour Hersch tells Returned Volunteer Chris Matthews on Hardball that "I was in Damascus just recently and they still like Americans, believe it or not. 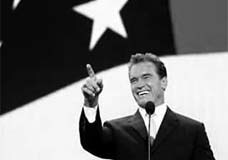 Most people make a distinction between the government and the people." 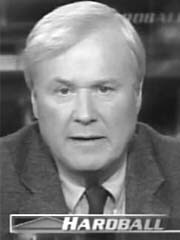 September 16, 2004: Headlines: COS - Swaziland: Iraq: Journalism: Television: Islamic Issues: Hardball: Investigative Reporter Seymour Hersch tells Returned Volunteer Chris Matthews on Hardball that "I was in Damascus just recently and they still like Americans, believe it or not. Most people make a distinction between the government and the people." Peace Corps Online: Directory: Swaziland: Special Report: RPCV Journalist Chris Matthews: Chris Matthews: Archived Stories: September 16, 2004: Headlines: COS - Swaziland: Iraq: Journalism: Television: Islamic Issues: Hardball: Investigative Reporter Seymour Hersch tells Returned Volunteer Chris Matthews on Hardball that "I was in Damascus just recently and they still like Americans, believe it or not. Most people make a distinction between the government and the people." Investigative Reporter Seymour Hersch tells Returned Volunteer Chris Matthews on Hardball that "I was in Damascus just recently and they still like Americans, believe it or not. Most people make a distinction between the government and the people." Joining me now is Seymour Hersh, whose investigative reporting for "The New Yorker" magazine has unflinchingly examined U.S. activities post-9/11. 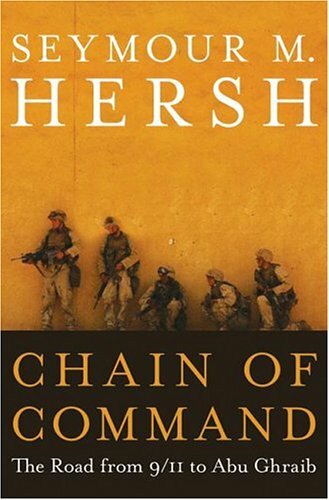 They‘re weaved together with new reporting in his new book, "Chain of Command: The Road From 9/11 to Abu Ghraib." I want you ask you about something. You broke My Lai, right? 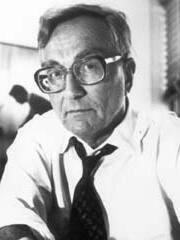 SEYMOUR HERSH, AUTHOR, "CHAIN OF COMMAND": Yes. MATTHEWS: Is this bigger than My Lai? MATTHEWS: As they‘re killing people in the ditch. HERSH: And then went back and went back into it. MATTHEWS: But stripping guys and making them do weird things in front of other guys, in front of women, is apparently horrendous to the very soul of an Islamic man. Americans, we are pretty up-front, straightforward people. And they like us.